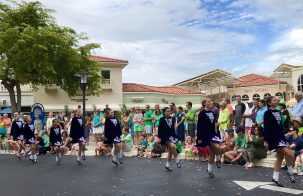 Another Successful St. Paddy’s Day Celebration at The Village Shops! The Village Shops was a sea of green on Sunday, March 17th, for the St. Paddy’s Day Celebration. 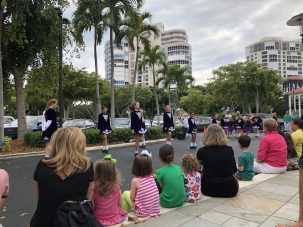 At 5:00pm parents, grandparents, restaurant goers, and shoppers all gathered waiting for a special performance from Tir Na Nog Academy of Irish Dancers. By 5:15pm, guests lined the curb taking their seat for the show and some even brought their own chairs to get a front row spot. The dancers gathered in their beautiful, authentic costumes practicing their steps. 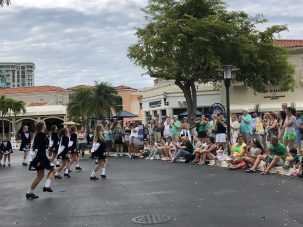 As the Irish music played through the speaker, the dancers paraded out one by one forming a lineup and beginning their performance. 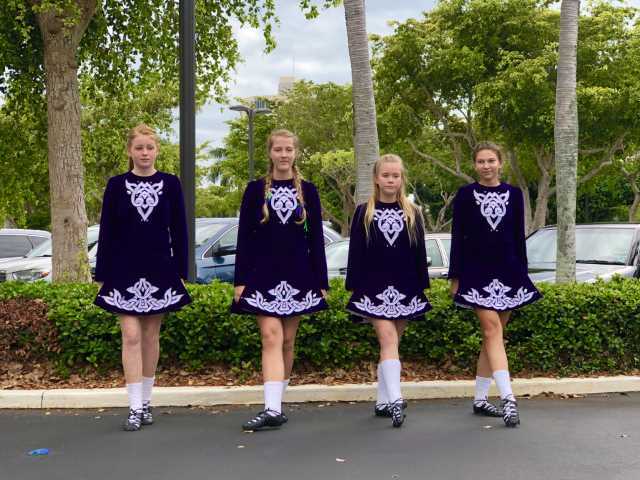 The dancers began with Kickline and after a minute the audience had the rhythm down and cheered, clapped, tapped, and danced along to the upbeat Irish music. The dancers performed several numbers before ending the performance with an audience favorite, “Cotton Eye Joe”. 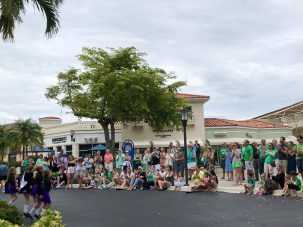 After the performance, the restaurants and Naples’ only Ben & Jerry’s filled as family and friends continued their St. Paddy’s Day celebrations. The Village Shops is looking forward to another fun St. Patrick’s Day Celebration next year.